Eminem has come back with a bang this year, releasing his much anticipated studio album Kamikaze in August, which has now officially gone platinum. And he isn’t showing any signs of stopping, because a new collaboration with Dr Dre could be dropping as early as this week. Eminem’s Bodied soundtrack is apparently arriving this Friday (November 2) and we are here for it. 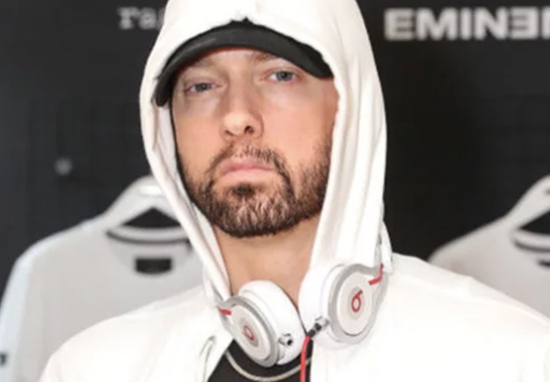 According to Hot New Hip Hop, IllaDaProducer – who has worked with Em on several occasions, and is credited on several Kamikaze tracks – suggested this is the case. He got involved in an Instagram Live session on October 28, where he was asked questions about Slim Shady’s upcoming endeavours. I ain’t spilling no beans. We’ll see about that Bodied soundtrack. It’s coming out Friday. Bodied is a 2017 American battle rap comedy-drama film, produced in part by Eminem. And if Illa’s Instagram Live is anything to go by, we don’t have to wait long for the official soundtrack to drop. Things have been kept relatively hush-hush about the release of the soundtrack, but rumours have been abundant. One such rumour is that Dr Dre will be collaborating with Em on at least one of the tracks, as one fan account pointed out a range of things about one of the videos. Mr. Porter looks to be on the chorus. Multiple mentions of "drop mic" "grab mic". "3 headed monster, all verses". Basically, the director of Eminem’s Lucky You video, James Larese, shared posts detailing what people are assuming to be another video for the rapper. The posts mentioned ‘Denaun’, therefore likely confirming an appearance in the video from Mr. Porter, as well as ‘DD’, which many are taking to mean Dr Dre. Furthermore, the notes from the post mention a ‘three-headed monster’, which the fan account pointed out is a nickname for Eminem, Dr. Dre, and 50 Cent. If the famous trio do get together for another collaboration, fans will be hoping for a reenactment of their Coachella performance earlier this year, where they put on an unforgettable performance. Em’s performance followed Beyonce’s to finish the first weekend of the festival, meaning he had big boots to fill and was under pressure to put on the performance of a lifetime. And that he did, with help from 50 Cent and Dr Dre (and a couple more). According to Billboard, the chemistry between the trio was unstoppable, and they performed a range of iconic songs which got the crowd moving. It’s well known that Dre has been Em’s mentor over the years, and the rapper hasn’t been shy about the influence he has had on him. In a recent interview with Sway, Slim Shady revealed that Kamikaze was toned down a lot because of Dre’s influence. Dre’s input was all over it. There’s a couple songs that he kinda deaded them. Just because, he didn’t have a good reaction to him and he felt like one of ’em was going a little far.